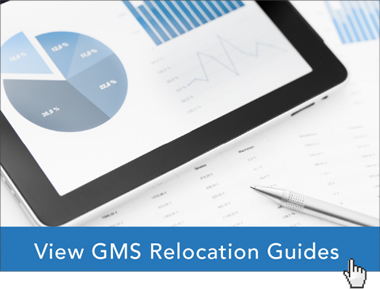 Employees expect their company’s relocation programs to provide a wide range of services, technology, and tools that will help make for an easy and smooth relocation process. Along with services targeted specifically for the transferee, the most successful company relocation programs also provide support programs for spouses and partners. Employee’s family members participate in the relocation process, and as such their buy-in and support can ensure a successful assignment. When an employee is offered a relocation opportunity, their spouse or partner’s needs should be considered as well. Often a new job for a transferee may mean a job change for their spouse or partner, in addition to relocating to a new location. The more support and information a company provides for spouses and partners, the more likely the relocation will be successful. Spouses and partners should receive consultation for any questions and concerns they may have about the new location. Local average salary information, cost of living assessments, job market information, community amenities, and specific information about local companies or organizations that may fit the spouse or partner’s career goals are all helpful topics that support spouses and partners in their pre-decision process. An online assistance portal that provides information to support local job searches or professional development opportunities in the new location is a welcome addition to a company’s relocation support programs for spouses and partners. Helpful resources such as lists of key employers organized by location and industry, resume posting services, and job search publications and white papers provide spouses and partners with information they need to pursue new opportunities. Many spouses and partners benefit from structured programs that help them create their online personal brand through Linkedin profiles or job search engines, direct job search assistance, resume writing assistance, entrepreneur support, and professional development opportunities. Successful company relocation programs provide a wide range of these support programs so their transferees’ families are prepared to participate in the relocation process with a focus on success. The most successful company relocation programs provide a wealth of support programs and services for spouses and partners since they are often key to ensuring a successful relocation. Global Mobility Solutions (GMS) provides its clients with an extensive array of spouse and partner support programs as well as other valuable business services so employee relocations are successful. Our high-touch service model fully extends to helping employee’s families with everything they need during their relocation process. To learn more about the wide range of spouse and partner support programs we provide, download your industry benchmarking study, contact our team of relocation experts or give us a call at 800.617.1904 or 480.922.0700 today.